I had a magical memory of Santa Claus that stayed with me until just a few years ago. Long ago when I was a little girl and sleeping on Christmas Eve, I heard a noise in my living room. I jumped out of bed and peeked in my parents’ room; they were asleep. Then I looked in the living room and sure enough, there was a figure of a man putting something under the tree. Well, since I didn’t want Santa to sprinkle pepper in my eyes, I ran back to my bed and stayed in there the rest of the night. In the morning there were presents under the tree as usual, but I had a secret–I had actually seen Santa Claus! Even when I grew up and stopped believing in Santa, there was always a part of me that remembered that night and said “but still….there was someone in the living room.” I never discussed that night with my parents until recently and I wished that I hadn’t; my mother told me that it was my Uncle Robert putting my gift under the tree. Of course, that makes sense as there had to be some logical explanation. But it was nice to have that magical memory all these years; to just simply believe. I don’t remember when I stopped believing or how. I don’t think it was anything dramatic; I just sort of gradually grew out of it. There was no drama involved–unlike my son’s revelation. He was 8 years old when he asked me point blank if there was a Santa Claus. I looked at him to gauge if he really wanted to know and he asked again straight-up, “Mommy, tell the truth; is there a Santa Claus?” What else could I say when he asked like that? I took a deep breath and told him the truth. And then he burst into tears. Months later when Christmas had come and gone and we had a rare moment alone with our son, my husband and I asked him about his reaction to my “confession.” He then proceeded to rage about how we had lied to him, betrayed him and how he could never trust us again. Wow; my husband and I were shocked! Neither one of us had ever felt “betrayed” by our parents about Santa, but now that I have talked to others, I have learned that his reaction is not uncommon. I have several friends who felt betrayed like our son and consequently do not introduce Santa Claus to their children. Other friends feel that Santa Claus dilutes the true meaning of Christmas and therefore do not make him a part of their Christmas celebration. While I can appreciate the logic of my friends and honor my son’s feelings, Santa still visits our house every year. 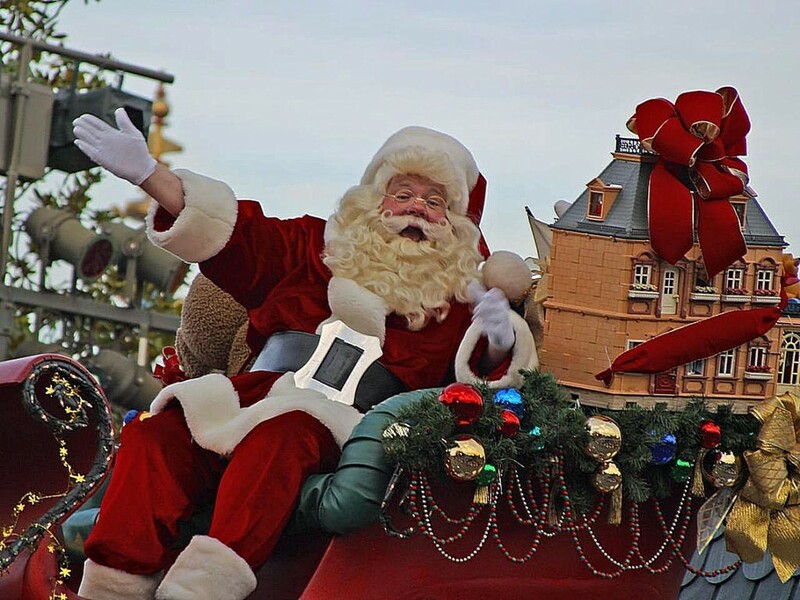 To me, believing in Santa Claus is like going to Disney World; yeah, the rides are fun, but I go to see The Mouse. Without him and the Disney “magic”, it’s just another amusement park. My son has since calmed down; he is old enough now to appreciate the magic of Santa Claus through his baby sister’s eyes and he has fun with it. But even so, we are careful to put Santa Claus in the proper perspective; he is just a fun part of Christmas–not the reason. We do not go to elaborate extremes to make his presence more real, just some cookies and milk left out on Christmas Eve. I’m certain that I only have a couple more years left before my daughter stopping believing. An inquisitive child, she is already asking too many questions. Maybe I can tell her that Santa Claus is like the CIA and only operates on a “need to know” basis. Do you think that will buy me a few more years? This is my last child and I want to keep the magic alive! I want her to believe! What about you? 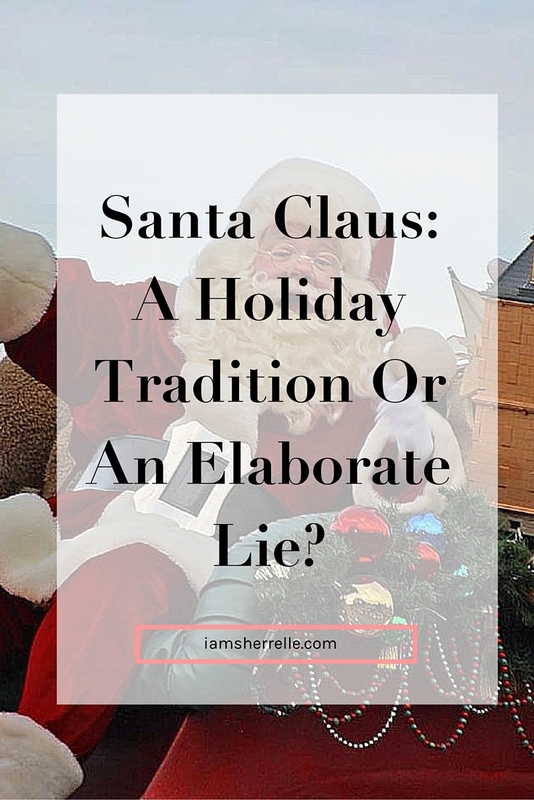 Do you feel like Santa Claus is a nice Christmas tradition or an elaborate lie? Discuss. We do not do Santa because my parents did not. My parents were very religious and Christmas was always about Jesus and his sacrifice. Like you I have tons of friends who were devastated when they learned Santa did not exist. My son understands that Santa is a character like Barney or any other character and he is a fun part of Christmas but not the reason for Christmas. Last year I started taking him to the Shelter to help prepare a meal for the “kids” and to give away his extra clothes and toys. He loves it! I hope he continues this new tradition when he becomes an adult. Great post! Thanks for sharing. I vehemently believe in Santa Claus, the Tooth Fairy and the Easter Bunny!! Much to the chagrin of my mom who never espoused the Santa Claus fantasy as she is a Christian with every fiber of her being and Santa has nothing to do with Christ’s birth, yada yada yada. She is the eternal wet blanket and never believed in telling children “lies” about Santa Claus or the Easter Bunny (which has nothing to do with the Resurrection and so on and so forth). I thank God for my sister who fed my fantasies for as long as I needed them and would help me set out a plate of cookies for old St. Nick. I believe kids need to believe in the magical. And let’s face it, how much magic is really left in the world? The curtain has been lifted on absolutely everything, every Wizard has been revealed and everybody’s a cynic. I say let ’em believe for as long as they need to. And yes there may be some fallout when the truth is discovered but hey, life is full of disappointments and if one can overcome the Santa Claus thing, I think one will be prepared for just about anything. We also don’t do Santa. There is magic for us….and honestly I am not trying to be corny…but there is magic in seeing people together as family and helping people in need. Then, that ties into Jesus Christ and his sacrifice for us. Santa was a cool dude but he don’t have the pin number to my bank account lol..
nope, we don’t do santa. my son is 3 and i really want him to understand the true meaning behind Christmas and to know that it’s about celebrating the birth of our Lord and Savior Jesus Christ. mamasgotmoxies last blog post..juke joint: how dope is this?